Our Puppy Socialisation Parties provide a great way to pick up health and behavioural tips from a pet behaviourist and our veterinary nursing team. Find out how to guarantee your place at the next Puppy Party below. At Blythman & Partners, we recognise the importance of socialising your new puppy in those first few weeks. We offer a FREE Puppy Socialisation Party for our clients and their new puppies. Our parties are hosted by pet behaviourist Jenny Adams from Positively Pets and a member of our veterinary nursing team. The class is an ideal opportunity for you to ask about any behavioural questions and pick up some tips on training and socialising your puppy. 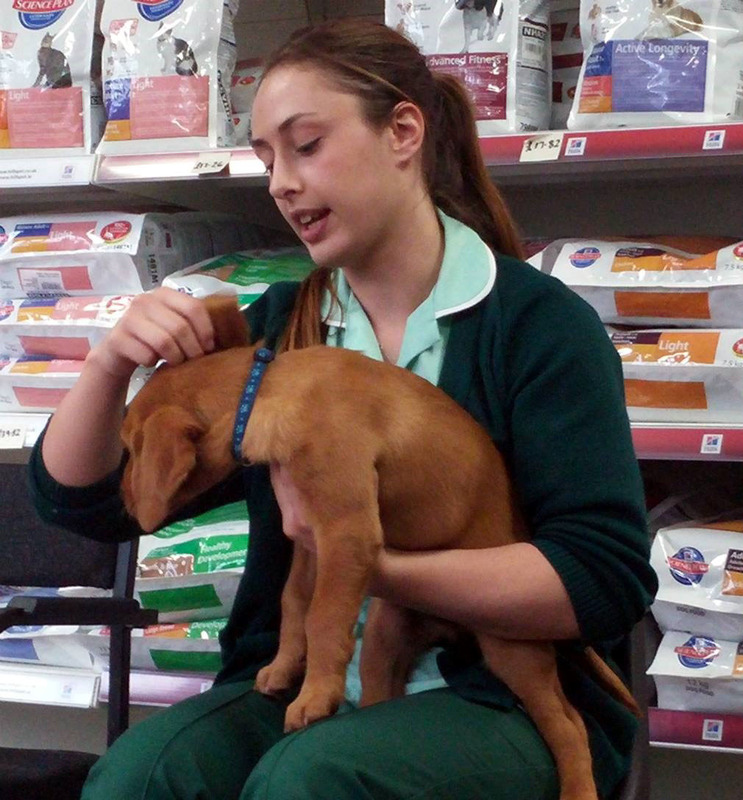 Our veterinary nursing team is on hand to demonstrate ‘top to tail’ health checks to carry out on your puppy. The evening also includes carefully managed free play and ‘Pass the Puppy’. Parties are held every other Monday at our Gosforth Hospital from 7 – 9pm for puppies that are no more than 12 weeks old and have received at least one vaccination but haven’t mixed with possibly unvaccinated dogs in public yet. To secure a place at our next Puppy Party, please contact the Gosforth Hospital on 0191 2841711, or find out more at www.posipets.co.uk.